on within the month of February. I am currently admiring the sassy application of a metallic finish it is a great way to make a statement a subtle one or a huge splash.Metallics are so huge even Apple is on trend with the recent IPhone 6 release featuring various metallic hues such as the highly sought after gold tone IPhone 6.This is a trend element that can be bold or toned down in touches your choice just have fun with it and don't be afraid to step slightly out of your comfort zone. 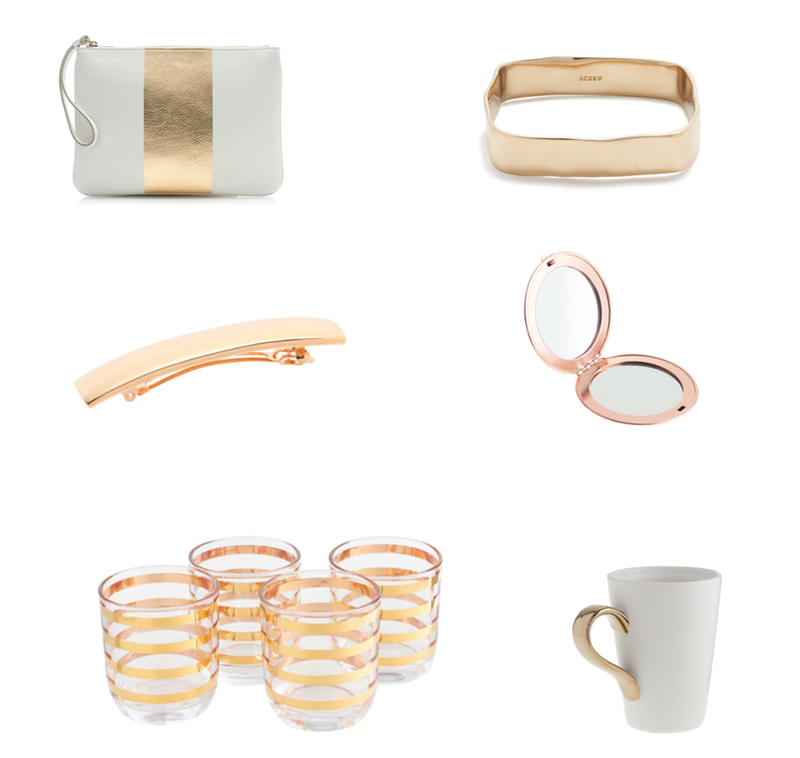 Below are a few of my savvy favorite metallic pieces from none other than J.Crew. I hope you all have a wonderful weekend. Any fun plans on your agendas? I’ve teamed up with my blogger friends to bring you a giveaway with an amazing prize for one lucky reader! We’re giving away a $500 J. 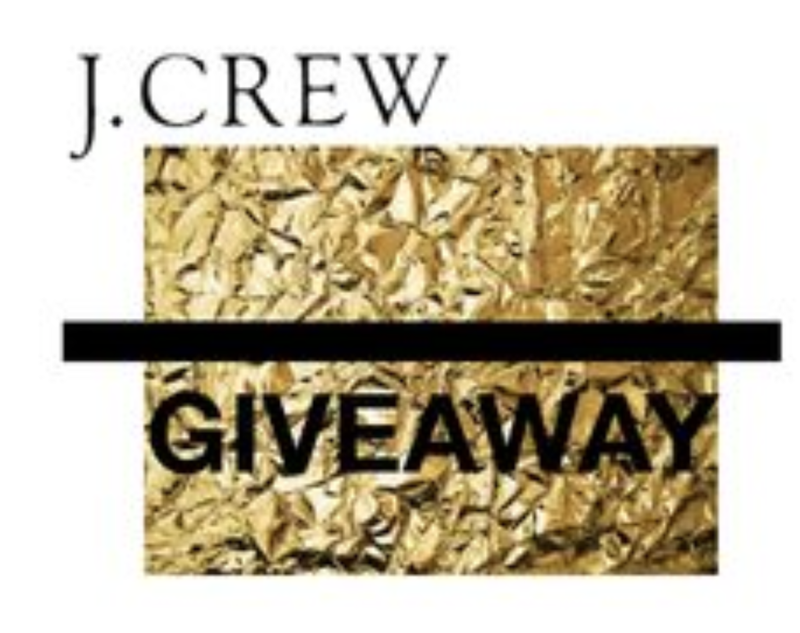 Crew gift card -- and you just might be the lucky winner! You can enter daily over the next three weeks best of luck! Co-hosts: Orange Marigolds • Jenn's Blah Blag Blog • Style Tab • Miss Ari Leigh • Miss Erin Says • 2 Cats & Chloe • God's Growing Garden • TonieGirl • Pumps and Push-Ups • Living With Beth • Stylish Adventures with AL • Allisonleighann. No plans on my agenda, just school but thank you for such an awesome giveaway! Especially for a broke college student! You are so very welcome Anita sometimes weekends are spent just resting and relaxing best of luck! Your welcome best of luck! Thanks Marta gold touches in accessories are so a great way to make a statement! I'm seriously in love with every pick!! So cute! Thanks Rach I hope you have a great weekend! So many great picks! I love all of those shoes and that clutch too! PS I'm doing a $400 Visa GC giveaway on my Instagram today! I have such a soft spot for shoes I always want another pair and these are no exception have a great weekend Megan! I noticed that with past giveaways the winner could opt for paypal cash instead the GC. Is that the case here as well? Thanks for your question; Yes, the winner of this giveaway does indeed have the option to request PayPal cash instead of a J. crew gift card. I absolutely love metallics!! Fingers crossed!!! Such a fun aspect to incorporate into outfits best of luck! Thanks Mel have a great weekend! I love the metallics! Will be sure to enter the giveaway too! Thanks Lisa have a great weekend! I love everything you just picked! J Crew is the best! I totally agree! I'm loving the printed metallic touches. And those J.Crew gold and black striped heels are incredible and you just know they would shoot really well for blog pictures! Great picks girl and great giveaway! Hey Linda, I hope all is well I am so in love the the metalic pices right now! Thanks so much for stopping by and the blog love! The winner was notified via email by the giveaway organizer Rebecca ( Noted above as “Oh My Gosh Becks” ) if you have any additional questions please feel free to reach out to her as all notifications and communication to winners and prize distribution is handled by the organizer her contact email is: becky@ohmygoshbeck.com. I hope you are having a great week.